The chapters address water, sanitation, and waste politics in Mumbai, Kampala and Tyneside, analyse the use of infrastructure in the dispossession of Palestinian communities, explore the pacification of Rio's favelas in the run-up to the 2014 World Cup, describe how people's bodies and lives effectively operate as `infrastructure' in many major cities, and also explores tentative experiments with low-carbon infrastructures. These diverse cases and perspectives are connected by a shared sense of infrastructure not just as a `thing', a `system', or an `output,' but as a complex social and technological process that enables - or disables - particular kinds of action in the city. 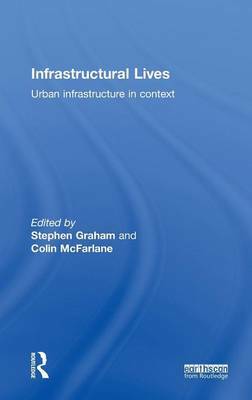 Infrastructural Lives is crucial reading for academics, researchers, students and practitioners in urban studies globally.